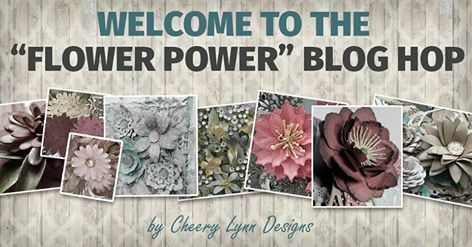 Welcome to the Cheery Lynn Designs August Blog Hop. 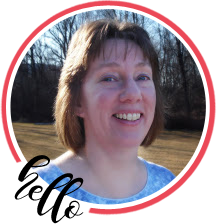 If you arrived here from Ginny’s Blog, you are on the right track. If not, why not head back to the Cheery Lynn Designs Blog and start from the beginning so you don’t miss any of the terrific projects. This month we are showcasing the beautiful Flower Dies that Cheery Lynn Designs offers. They really have something for everyone! I just LOVE creating beautiful paper flowers and I tend to make extras each time I create them. You might say I have a bit of a stockpile….. I decided I was going to use something from my flower stash today and I was in a ‘pink’ mood. My beautiful flowers were created with the Sweet William Strip and I just love the textured look. You can create different sizes depending on which petals you decide to work with. I’m going to include a video tutorial below to show you how I made these gorgeous flowers. If you like my video, please click the YouTube icon in the bottom right of the video above and head to YouTube and give me a thumbs up. I’d love for you to subscribe to my channel and leave a comment as well. My bi-color double-loop bow was created on my Bow-it-All V3.0 using 5/8″ Brown Plaid Ribbon and Turftan Brown Delicate Stitched Satin Ribbon from Really Reasonable Ribbon. For a video tutorial on how to make this beautiful bow, please click HERE. Thanks so much for stopping by today. Your next stop is Debbie’s fabulous blog. This is more my style! Love it! And having a flower stash! What a great idea! I do have a leaf stash. Why not a flower stash! Gotta do this! TFS! I love the pink flowers combined with the brown – great job! Your card is great. I love the stash of flowers. What a good idea. Hope to have time to put one together soon. Very pretty card. I love the flowers you used in it. Good video, too. Wow, you did make oodles and oodles of flowers. Thank you for the flower and bow tutorials. I needed instructions on a double bow. Your card is quite lovely from the bow to the flowers. Lovely Card, I really like the two tone effect to your flowers. Brilliant stock pile. Beautiful card and I love all the flowers. Bonnie this is just stunning. So soft and love the variegated flowers. Your back ground for them is so elegant and I love the brown tones mixed in. Love the colors, flowers and papers. Awesome!